Forgive me for stating the obvious, but you are really tall (we’ll joke about my forensic observational powers later), a human being scaled up, maybe 120%, with a deep Hungarian accent. I haven’t managed to get lunch and arrive in your office at 2pm, fuzzy headed, asking for a cup of tea. There is a pristine coffee machine on a shelf; you have spent two years perfecting the perfect cup of decaf. You only use a certain type of bean and even that is a problem, the roasting times can vary by seconds and transform the flavour. You can tell immediately. When I ask, you say, you’re like this about a lot of things. Like food for example. You work with local chefs. You have spent one year perfecting the perfect chip and are still not there. The amount of starch is vital and you blanch, fry at 130 and fry again at 180. The very welcome cup of tea arrives. So of all the characteristics of a physicist you tell me that maybe people haven’t mentioned child like curiosity.......and a great appreciation of beauty in the world. “There is a little child in every one of us”. You’re right; no one has said this so far. You tell me that children are themselves, untouched by the world, questioning, self absorbed. There are big down-sides of course – a really bad sense of humour and physicists definitely have this....I only need to walk around and look at the department presentations to see. I’ve been drawing in your lectures and I remark that you have a unique relationship with your students, like maybe I have never seen before – maybe you are more open or make yourself a little more vulnerable and you tell me that this is a very difficult balance. I comment that command over your subject matter is the most important thing and you tell me that it is incredibly scary that we know so little. That the second worst day of your life was when you discovered that you will never know everything. Your students complain of this too – they complain about the approximations – but maybe this is what makes a good physicist – someone who knows what to keep and what to throw away. And I think how this is like painting. Giving students a sense of the ‘size’ of things, like the charge and speed of an electron is important. You asked a student what would happen if you both held identical coulomb charges. The force pushing you apart would be immense. We do a similar thought experiment with opposite charges and muse that such immense attractive forces could be the beginnings of an idea for a speed dating event. I say we’re lucky that the world isn’t like this, that everything in daily life is electrically neutral and you remind me that the hardness of things is due to this repulsion between charges. “Ending a series of lectures is moving, it is like saying good-bye”. I recall you telling the students how much you hoped you’d communicated the beauty and marvel of your subject - electromagnetism. (Reader – electromagnetism is a central and human scale law – it governs much of what you take for granted, the light through the window, the colour of flowers, your favourite radio station, the magnet holding the papers on the fridge). In the first year, the students are friendly, but as the years progress they become less socially adequate and address you as ‘Torok’ in emails which would be funny if it wasn’t sad. And you have lost count of the number of students who’ve sat in this chair or that depressed and some wanting to kill themselves, usually due to some unreasonable pressure from the system or parents. You are a Christian. I ask you ‘what is physics in relation to your god?’ and you say it is a difficult question, but maybe it is the way he wants to reveal the world to us, an expression of God’s rules in our surroundings or maybe it is a way that we will find pleasing. Physics is the fundamental working of nature, if you disprove the axioms it falls apart. A photon may be a wave or corpuscular and nature shows the side of which you ask. So it is very difficult to know if physics is something shown to us because it is pleasing for us to see this side of the coin. Who knows, maybe we are like fish in a pond, in a two dimensional world unable to access other dimensions. It is a very difficult question and could drive you mad and you’re not inclined and possibly not smart enough to figure it out you say. You reach across the room and open some windows and the atmosphere of the city comes in. Society is going wrong, really wrong. You don’t want to extrapolate 50 years from now. Everyone is looking for bigger thrills, they think it will make them more human, but it just makes them unhappy. You don’t feel the need to hang upside down from buildings for thrills. Happiness is your children jumping on the bed in the morning. You daughter is six and you tell her that ‘numbers are her friends’ and that light is a wave, because as you said in your electromagnetism lecture, it is important and she needs to know. You find my drawing in your lectures a unique experience and an opportunity to see through my eyes, it is a first. You can even recall the atmosphere and what you were teaching at the time, the positive and negative charges and the potential gradient. You laugh when we consider how they subsume man amongst maths and physics. You do classical optics and quantum optics is the other way of looking at things. In your work you look at things with ultra high accuracy and using light which is mostly visible. One of your projects studies DNA with visible light by injecting proteins which fluoresce (remember the green mouse). And you are also working with people who are trying to create and see a magnetic monopole – Dirac said there was nothing in Maxwell’s laws that would prohibit this possibility, though one has never been found. And the test kitchen will be in full swing once you have a proper room. You ask me “Do I confirm to your stereotypical physicists? Aren’t we such a bunch of nerds?” I say that a lot of physicists tell me they are normal and that everyone else is a nerd or extreme. You are the first to tell me he is actually a nerd. What can an artist do I ask? “Show our thirst and hunger for knowledge and the way we want to play around – a little child in every one of us”. And you show me a bag of candies called Torok which is your name spelt wrongly without the umlauts and means ‘throat’, and means ‘Turkish’ (your name) with; I ask if you have Turkish ancestors and you say that you were most probably beating Turks. Say it in a more drawn out way and it means ‘daggers’.....what a minefield. And though you are most recently of Hungarian decent, you have the genetic features of Han Chinese, two fine creases across each of your inner elbows, which I unsurprisingly am missing. And I make the blindingly insightful observation that you are tall for a Chinese. 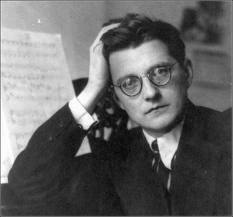 The next time we meet we talk about the shortness of life and the possibility of returning; look at the wondrous affect of a diffraction grating on red laser light and you introduce me to Shostakovich and we think it might be interesting to map his work chronologically against Kandinsky to understand how each responded to the times. Peter Török is interested in finding things out. He specialises in optics, has a passion for cooking and likes to research the physics of cooking and predictive microbiology. He also enjoys good coffee, Geraldine's paintings and Shostakovich.